Germany reports four British ships sunk in the North Sea, but London denies the claim. Zionist group Irgun blows up British liner Patria at Haifa to prevent removal of Eastern European Jewish refugees from Palestine to Mauritius (213/1771 refugees killed, 50/130 crew). 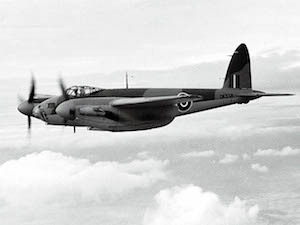 First flight of British De Havilland Mosquito bomber. First flight of US Martin B-26 Marauder medium bomber. The Germans continue their advance against Moscow, throwing all their available strength in to the attack in a final attempt to capture the Russian capital. Rommel continues his attacks at the rear of the Eighth Army. U-331 (Kplt. Tiesenhausen) sinks the British battleship Barham in the Mediterranean. The US Navy Department announces that very few Japanese are left alive in the Gilbert Islands. On Tarawa, 1,090 Marines were killed and 2,193 wounded, with only 100 Japanese out of garrison of 4,836 being taken prisoner, with only 17 of them being soldiers. Sattelberg in New Guinea falls to the 9th Australian Division. A Destroyer action off Cape St. George results in the Japanese being routed to the north west of Bougainville and losing three destroyers out of five in the process. Himmler orders the destruction of the crematories at Auschwitz. The last Japanese resistance in Peleliu ends. 14,000 Japanese are killed or captured for 9,300 U.S. casualties. German V-2 rocket hits Woolworth department store in London, killing 168. Nazis demolish crematoria and gas chambers at Auschwitz-Birkenau. 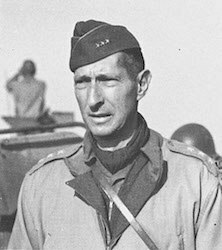 Gen. Mark Clark named to command 15th Army Group (Allied Armies in Italy); Gen. Lucian Truscott to replace him over US Fifth Army. British begin Operation Deadlight, the sinking of captured German U-boats off the Hebrides.